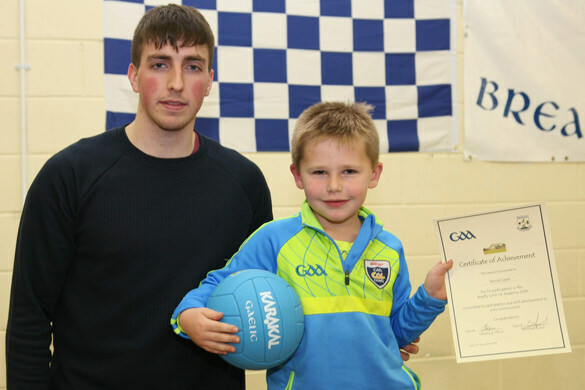 The Breaffy GAA Bord na nÓg presentation night took place on Sunday, December 2nd. 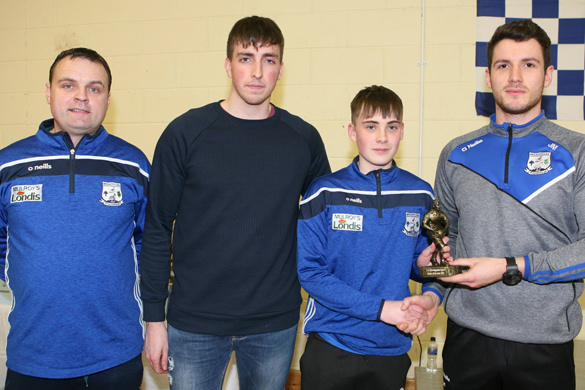 Senior players James Minogue and Robbie Fadden were on hand to present our young stars with their awards on the night. 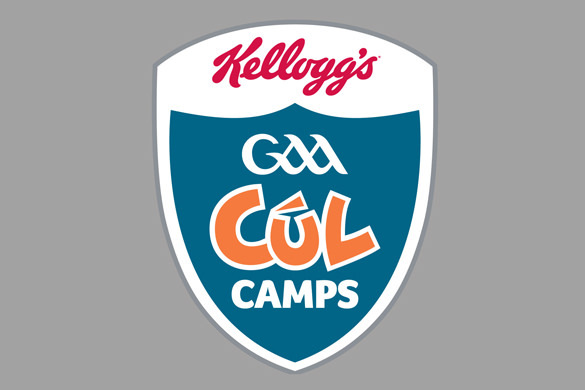 Mayo GAA currently have a range of Cúl Camp gear for sale on their website www.mayogaa.com, or directly from the link here. There are a range of sizes of available from the 2018, 2017 & 2016 gear ranges. 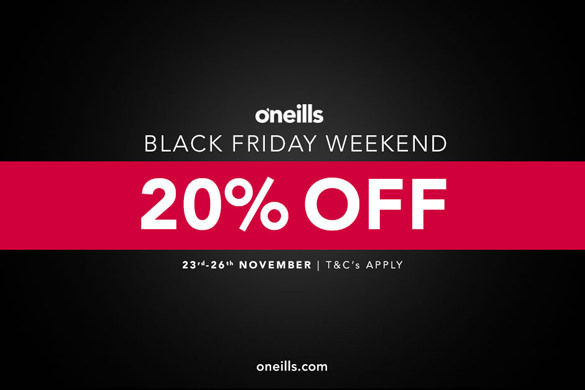 For this year’s Black Friday sales event, O’Neills will be giving 20% off all merchandise from the 23rd to the 26th of November. 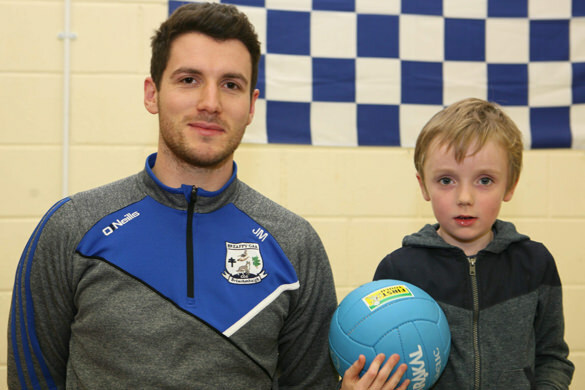 This is a great opportunity to get your Breaffy GAA gear just in time for Christmas! 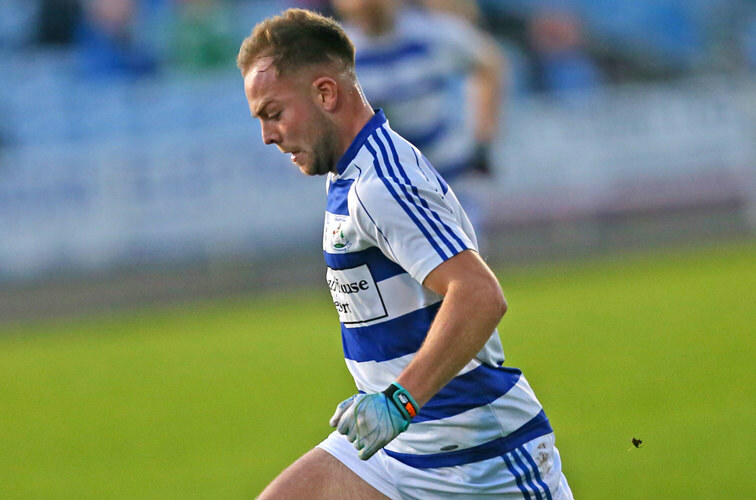 Keith Mulchrone sat down with the Mayo News to dish the dirt on some of his team-mates before this year’s county final. Anything at all. Depending on time of the game it could range from a full on dinner to a rasher sandwich en-route in the car with a cup of tea half drank and half spilt. 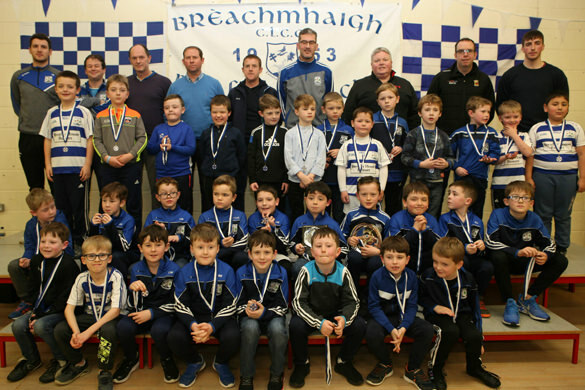 Breaffy GAA wish our team the very best in the Mayo SFC County Final on Saturday. 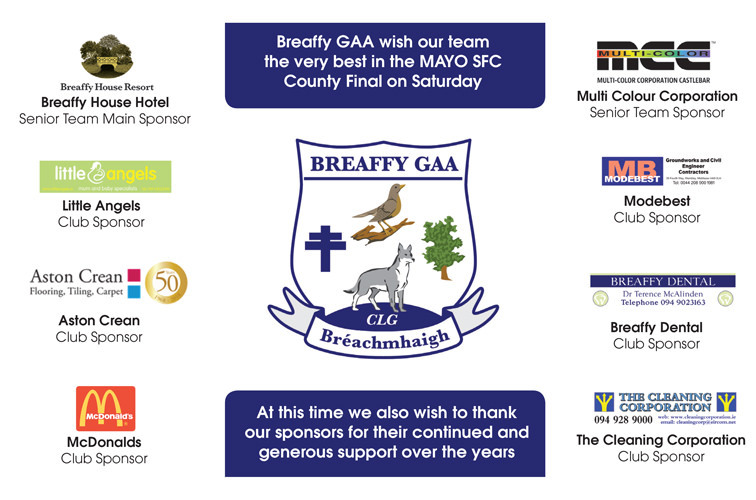 At this time we also wish to thank our sponsors for their continued and generous support over the years. 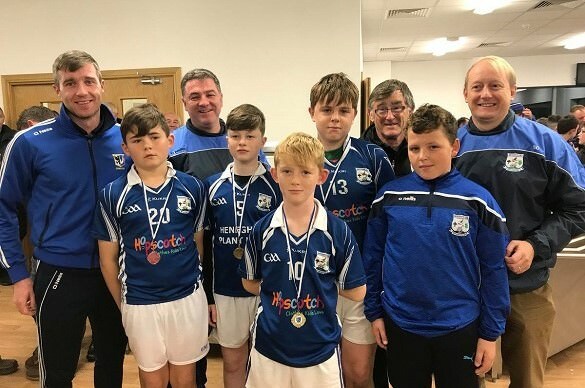 Congratulations to our U12 boys who are the Connacht U12 Skills Champions for 2018! 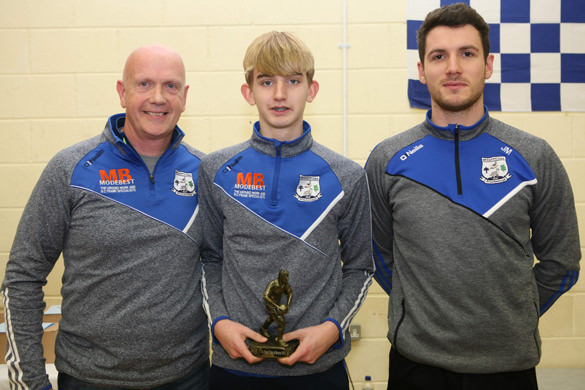 Well done to all of their coaches too. 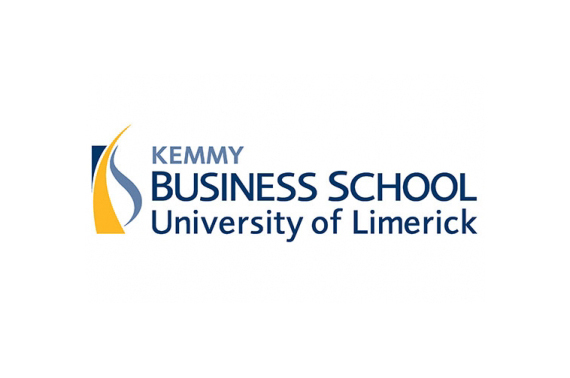 Clodagh Butler, club member is conducting research investigating workplace resilience and well-being. We would appreciate any club members or friends of our Facebook page who are in full employment to contact her and get involved. 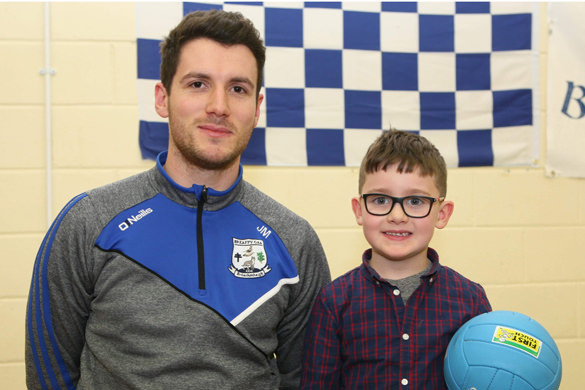 Her research is in line with our Health and Well Being goals as one of only four clubs in Mayo involved in phase 3 of the Healthy Clubs Initiative. 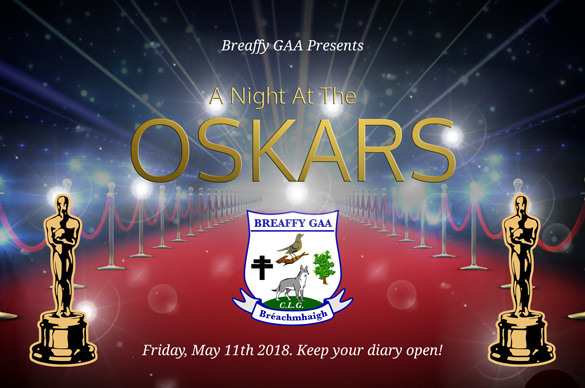 Dear Members and Friends, with Mayo taking an early exit from the championship, all eyes turn to club football for the remainder of the summer. 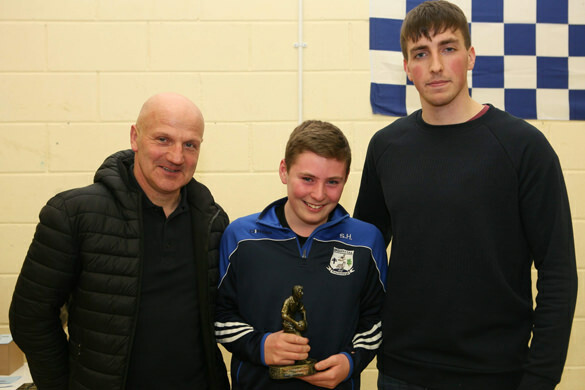 Firstly I would like to wish Seamie O’Shea a speedy recovery, his involvement on the field will be missed. 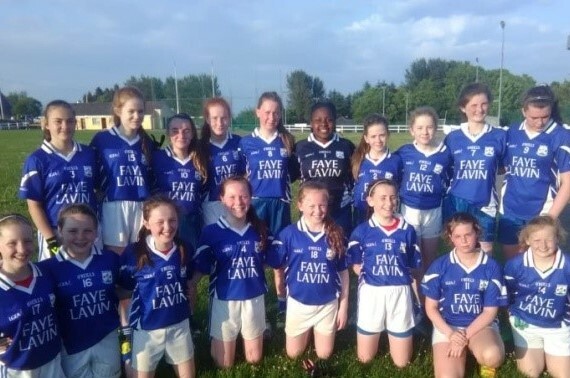 I wish our senior team every success as they continue in their quest for a county senior title and we will ensure that they have everything they need to achieve this goal. 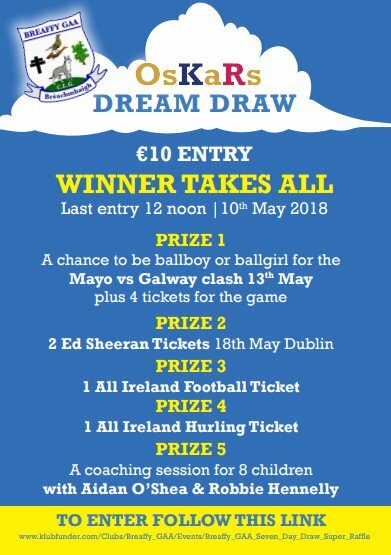 Our Super Raffle, winner takes all ends at 6PM this evening. Enter in the link below. Thank you to all our movie and award sponsors. Click on any of the sponsors below to visit their website.